“La Grande Crisi” (The Great Crisis) of the last ten years has created a political environment ideally suited to protest parties. The Five Star Movement (M5S), now sitting atop polls and looking to win the national election scheduled for March 4, 2018, has been the prime political beneficiary of the disagio sociale (social malaise) paralyzing the country. Often misrepresented as a right-wing populist party in the mold of Marine Le Pen’s National Front, M5S in fact has a left-wing pedigree that its current leaders downplay. The M5S story begins in comedy. Beppe Grillo, a shaggy-haired comedian and left-wing political satirist from Genoa born in 1949, became a television celebrity in the 1980s. In 2005, he created the anti-corporate blog www.beppegrillo.it. “Meet-up” internet platforms enabled his blog followers to form “Friends of Beppe Grillo” groups. He founded M5S in 2009 as a protest movement against the economic, political, and media status quo that he ridiculed in his shows and blog. The Five Stars stood for public water, the environment, public transportation, technological connectivity, and sustainable development. M5S came into the world as an Italian version of the German Green Party. Often misrepresented as a right-wing populist party…[the Italian Five-Star Movement] M5S …has a left-wing pedigree that its current leaders downplay. The technology star was the movement’s most distinctive trait. Grillo’s technology guru and the behind-the-scenes cofounder of M5S, Gianroberto Casaleggio, envisaged the web as a revolutionary means of political organization. A direct democracy in which “one counts for one,” as imagined by Jean-Jacques Rousseau, would be made possible by the internet and would bring salvation from the lobby-infested politics of representative “democracy” where money ruled. Casaleggio, who would die in 2016, created the Rousseau Platform through which M5S members could vote on the web for the measures their political representatives were then obliged to support. Primary elections would be held on the web as well, to select M5S candidates for political office. As a left-wing populist movement, M5S enjoyed some successes in regional and local contests over the next few years. but no one foresaw the magnitude of its triumph in the February 2013 national election. The grillini stunned the country by obtaining 8,691,406 votes (25.6 percent of the total), a modern debut record in national politics. Grillo did not run as a candidate, but this sensational result produced 109 deputies and 54 senators for M5S, most of them between the ages of twenty-five and forty-four and more representative, compared to the other parties, of students and the unemployed. A survey following the election asked M5S voters which party they had supported in the previous national election, held in 2008. They had come from nearly every point on the compass of Italian politics, with the right-wing parties unexpectedly enjoying a slight advantage over their counterparts on the left (42.1 percent to 38.8 percent). Many M5S voters in 2013 (13.5 percent) had not voted at all in 2008. Abstentionism had become a serious problem in Italian elections, but M5S brought these alienated voters to the polls in high numbers. Grillo’s supporters, regardless of former party affiliation, claimed to be voting against the old politics. … [T]he…M5S …movement successfully appealed to every age group, except for people over sixty-five. The movement, a network of hundreds of activist groups under Grillo’s charismatic leadership, had added new layers of identity to its first incarnation as a niche group of tech-savvy environmentalist protesters opposed to high-speed trains, new superhighways, and the economics of globalization. Like many left-wing parties in Europe, M5S had portrayed all these developments as an interconnected dystopian nightmare for the natural world and existing human communities. In the election campaign, M5S continued its resolute defense of the environment and of Italian workers at risk of losing their jobs in a neoliberal global economy. Thrillingly to many and from a radical vantage point entirely abandoned by the center-left, Grillo attacked the banks, high finance, and the politics of austerity. In this respect, M5S appeared to be emulating the Syriza Party in Greece, where Grillo later would visit to express solidarity with the left. By 2013, however, Grillo had expanded his base to include many conservative voters.He assailed the European Union, which Italian conservatives viewed as a bureaucratic tyranny bent on supplanting the nation-state. The euro he denounced as the source of Italy’s financial woes. He condemned the Italian government for its feckless policies in handling the explosive problem of illegal immigration, an issue of grave concern on the right in Italy. Calling for strict border controls, Grillo reflected the views of voters who feared immigration not only as a growing social and economic problem, but also as a threat to Italian identity. Despite its left-wing origins, M5S came to bear a striking resemblance in key respects to right-wing populist movements that had arisen elsewhere in Europe and the United States. Rejecting left-right labels, Grillo called M5S a movement of all Italians. He promised them liberation from a corrupt governing caste of exploiters and parasites born of “a party system sick with elephantiasis,” in the caustic phrase of Sergio Rizzo and Gian Antonio Stella in their 2007 bestseller, La Casta: Cosὶ i politici italiani sono diventati intoccabili. [iii] He promised not to form coalitions with any of the parties in this abhorrent political establishment. Grillo brilliantly had exploited a political crisis dating back to the demise of the Christian Democratic and Communist parties at the end of the Cold War. Enjoying U.S. backing and the pivotal party throughout the Cold War, the Christian Democrats at its end fell victim to the political kickback scandals uncovered in the Mani Pulite (Clean Hands) judicial investigations of the 1990s. The Communists, the other principal party of the Cold War period, could not survive the passing of their original inspiration and long-time benefactor, the Soviet Union. [iv] Each of these two parties contained elements antagonistic toward the economic status quo, if only on the level of theory. Their collapse created a void in Italian politics. The two main post-Cold War parties, Forza Italia (FI) and the Partito Democratico (PD), emerged as competing support systems for the economic status quo and by 2013 had become discredited by their intimacies with it. Silvio Berlusconi, one of the richest men in the world and the leader of FI, had been in power for so long that during the election campaign no credible case could be made for his party as an alternative to the reviled establishment. Pier Luigi Bersani, the center-left standard bearer, could not live down his record of having supported austerity measures. Berlusconi and Bersani served as perfect establishment foils for Grillo. He blamed them for failing the country. Unemployment in 2013 would reach 12.7 percent. Not since 1977 had as many workers been without a job. Nearly 40 percent of young people in their late teens, twenties, and early thirties could not find work. Tens of thousands of them left the country. It was as if they had been proscribed by the laws of economics in Italy from entering the work place. Workers generally, but especially people from this demographic, turned to Grillo as their avenger. Indeed, during the 2013 campaign, M5S addressed the job crisis in the language of Viviane Forrester’s The Economic Horror (1996), a foundational work of economics for many grillini (Grillo supporters). A French journalist and author of novels and literary criticism, Forrester condemned globalization as the greatest robbery of all time. Using euphemisms such as labor flexibility, neoliberal economists and politicians had created ever-worsening conditions of insecurity for workers in the West. Flexibility meant inflexibility: “the right to dismiss workers when, how, and however frequently it pleases the managers.”[v] Labor unions could not compete in the game of globalization. 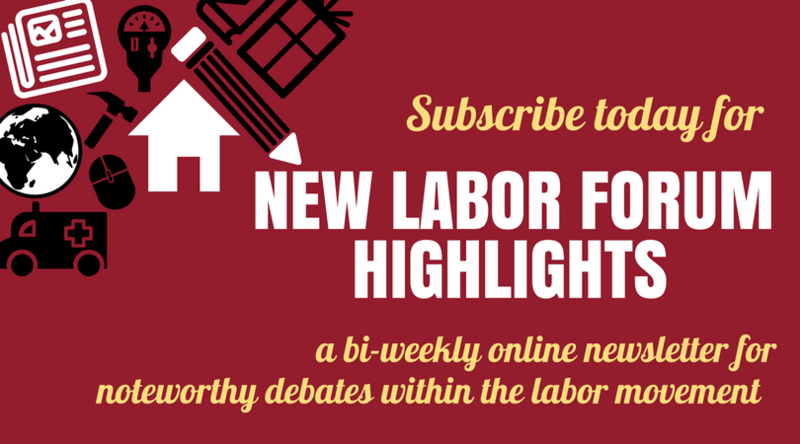 To checkmate labor leaders trying to negotiate better working conditions for their members, business owners simply could leave and find compliant employees abroad at a lower cost. The millions of jobs lost this way would not be returning to the West. Even if they could return, the new technologies of automation, robotics, and artificial intelligence would eliminate them. Forrester made a proposal that would become a core policy position for M5S. With full-time work permanently disappearing due to job-outsourcing and technology, the wealth of society—now criminally concentrated in a few outsized investment portfolios—would have to be redistributed in the form of sustenance stipends to everyone in need of them. M5S aggressively began to promote the “reddito di cittadinanza” (citizen income) idea. Critics right and left panned it as a moonstruck gimmick that would bankrupt the country. Despite any of the political, economic, and philosophical objections to it, the citizen stipend idea has been an important source of support for M5S in the polls. Predictions since the 2013 election about the imminent demise of the amateurish and impractical M5S have not come to pass. It has gained support in these intervening years. Now sensing victory, M5S has toned down its early left-wing rhetoric, particularly regarding criticisms of the United States. For many years, Grillo strongly opposed American military interventions. He began in 2005 to call for the withdrawal of Italian soldiers from Iraq. In 2013, he supported the campaign against expanding the American military bases at Vicenza and Sigonella. Other M5S members would go even farther than Grillo did in denouncing American foreign policy. Despite any of the political, economic, and philosophical objections to it, the citizen stipend idea has been an important source of support for M5S in the polls. Alessandro Di Battista, a Five-Star deputy in Parliament and vice-president of that body’s Commission on Foreign Affairs, in August 2014 posted “ISIS, What to Do?” on Grillo’s blog. Di Battista addressed the underlying causes of terrorism, which in the Middle East he thought had to do less with ISIS than with the tragic arrangements put in place there after World War I, Israel’s policies in Gaza, and America’s lies about Iraq. He called for the withdrawal of Italian troops from the ignoble and unjust war in Iraq. From virtually across the Italian political spectrum, his comments produced either silence or indignant denunciations. The post confirmed for many that M5S harbored anti-Israeli and anti-American sentiments and exhibited an excess of sympathetic comprehension for Islamist terrorism. Suspicions about its anti-Americanism grew when in March 2017 M5S sent a delegation to Caracas, Venezuela, for the fourth anniversary commemoration of Hugo Chavez’s death. Grillo had lauded his anti-imperialist legacy and had done the same for Ecuador’s Rafael Correa, describing him as another model of courage in opposing the multinational corporations and the International Monetary Fund. These Latin American leaders had been right to blame the neoliberal Washington consensus for deranging the economies of the developing world with the aim of perpetuating their subaltern status in the globalized economy, the most intricate mechanism yet devised for the final conquest of mankind by the money power. M5S drew inspiration from Chavez and Correa, particularly in its anti-austerity campaign for a new Europe. Suspicions about its anti-Americanism grew when in March 2017 M5S sent a delegation to Caracas, Venezuela, for the fourth anniversary commemoration of Hugo Chavez’s death. As a protest party, M5S had made its name by riddling the political and economic establishment with flaming rhetorical broadsides. As a governing party, it would have to reach some accommodation with establishment stakeholders. Moderate M5S elements, led by Luigi Di Maio, recently have surged into the foreground. He is the contrasting moderate figure to Di Battista, the charismatic paladin of the party’s true believers. Though publicly these two men have professed warm friendship and support for each other, there can be no question about their completely different political styles and ways of advancing the M5S cause. Di Maio, the thirty-one-year-old vice-president of the Chamber of Deputies—the youngest person ever to hold that position— spoke at Harvard University in May 2017. His visit was the first foray by M5S into the United States. Later in the year, he would visit Washington, D.C., for discussions at the State Department and with members of Congress, to reassure the United States government that M5S would not be a threat to its military bases and other interests in Italy. Di Maio’s Harvard address laid the groundwork for a U.S.-M5S rapprochement. To the consternation of some radical M5S members, this past September the party elected Di Maio to be its candidate for the premiership in the 2018 election. At the same time, Grillo announced that he would be stepping down as the head of M5S, to give Di Maio the opportunity to be its spokesman. Seen as the triumph of the moderates, Di Maio’s election was preceded and followed by statements about the intention of M5S to clean the boat, not to rock it. Di Maio’s Harvard address turned out to be an election manifesto for 2018. The iniquities of finance capitalism and the imperialist foreign policies supporting it have not been objects of concern in the Di Maio campaign. In his campaign statements, Di Maio has made little use of Lavoro 2025, which appeared just as M5S had begun to issue calming reassurances to the financial sector. Indeed, on one occasion when Di Maio publicly referred to the book, although not by name, he called for labor union reform to make Italy more economically competitive. He cited statistics that showed how by 2025 50 percent of the jobs in Italy would be in the creative sector, tourism, culture, and new technologies and 60 percent of existing professions would either change or disappear. About these coming developments, he said, the unions had no conception. They had become an obstacle to Italy’s economic growth. Union leaders and opposition party spokesmen lashed out at him for these remarks. Many began to wonder if on the fundamental issues of economics and work there really were such a very great difference between Di Maio and former PD prime minister Matteo Renzi or even Silvio Berlusconi. Di Maio’s anti-union comments were in keeping with a longstanding M5S tradition. Many union members belong to the movement or otherwise support it, but there has been a running battle between M5S and the bureaucracies of Cgil (Confederazione Generale Italiana del Lavoro), Cisl (Confederazione Italiana Sindacati Lavoratori), and Uil (Unione Italiana del Lavoro). These national labor unions are deeply divided among themselves and in crisis because of their shrinking memberships and declining popular support. Grillo has been another problem for them. Just as M5S, employing the principles and techniques of direct democracy, is proposing to replace Italy’s traditional political parties, so does it view the country’s labor unions as undesirable survivals in the digital age. The internet has eliminated the need for intermediaries between the people and their direct exercise of choice and power. The outcome of the confrontation between M5S and Italy’s labor unions could have a dramatic effect on worker movements internationally. [Candidate for the Italian premiership] Di Maio … said… unions … had become an obstacle to Italy’s economic growth. Grillo presents M5S as the radiant dawn of Italy’s genuinely democratic future, but the party faces serious problems. The record of M5S in Rome and Turin, where it holds administrative power, does not inspire confidence about a coming golden age. The administration of Rome mayor Virginia Raggi, in power for the past year-and-a-half, has become the arch symbol of M5S disqualification in the eyes of her critics. Crumbling Roman streets littered with great mounds of uncollected garbage cannot be explained away now solely by the shortcomings of previous administrations. Editorials in anti-M5S newspapers like Milan’s center-right Foglio predict that the dismal fate of contemporary Rome awaits the entire country should the grillini win the 2018 election. Grillo himself regularly comes under attack for authoritarianism in the way he has controlled M5S and expelled members who have disagreed with him. Yet, since recently announcing that Di Maio, as candidate for the premiership, would be the M5S spokesman, Grillo has been out of sight for most of the campaign. The outcome of the confrontation between M5S and Italy’s labor unions could have a dramatic effect on worker movements internationally. Speculation persists about Grillo’s real intentions in withdrawing from active campaigning. The relative seclusion of Grillo, party firebrand Alessandro Di Battista’s decision not to seek reelection to Parliament, and the silence in the campaign of Di Maio’s chief adversary for party leadership Roberto Fico suggest a concerted effort by M5S to maintain a moderate image during the election campaign. [ix] Guesses about what these individuals and the party will do after the election are derived from the political proclivities of the guessers. The biggest setback of all for M5S may have occurred late last summer when the Rousseau Platform and Grillo’s blog were hacked, revealing serious flaws in Casaleggio’s utopian vision of direct democracy through technology. Such problems repeatedly have been in the news ever since. Thus far, the internet has not turned out to be an open-sesame device for the magical creation of democracy. Yet the latest polls, for early January 2018, show an upward tick of national support for M5S. It retains a large lead over its nearest competitors. Alliances among the other parties could prevent M5S from forming a government after the election, but it is almost certain to have the largest number of representatives in the new Parliament. Why such a political outcome should take place despite a good deal of confusion about what M5S truly stands for or would do in power, best can be explained by the collapse of the Italian political establishment’s prestige in the context of social, economic, and cultural crisis. Contemplating the country’s condition today, the historian Ernesto Galli Della Loggia writes, “it is difficult not to despair.”[x] For M5S to have risen in such a dramatic way, Italy had to reach this point of profound national discouragement. People may have doubts regarding the competence of M5S, but they are certain about the incompetence, moral as well as political, of its rivals. The economically beleaguered Italian people, facing the unknown as their millennial ethnic culture convulsively undergoes the storms and stresses unleashed by mass Muslim immigration, are in a politically adventurous mood. In the confusing political scenario created by Italy’s March 4, 2018 election, certain facts stand out for their clarity and importance. Above all, M5S won a spectacular popular victory, raising its vote total from nearly 8.7 million (25.6 percent) in 2013 to over 10.7 million (32.7 percent) in 2018. Its representation in Parliament has more than doubled since the previous national election: from 109 to 227 in the Chamber of Deputies and from 54 to 112 in the Senate. M5S will dominate Parliament for the next five years. Yet, Luigi Di Maio cannot form a government without support from one or more of Italy’s other parties. M5S far surpassed in voter appeal all other parties but did not reach the 40 percent threshold necessary for it to govern alone. After years of Beppe Grillo’s barbs against the entire political system as an aggregation of thieves and knaves, potential M5S allies are not rushing to present themselves. A miserable showing has sent Matteo Renzi’s Partito Democratico and the entire left into the political wilderness. The four-party center-right coalition did receive 37 percent of the vote, but its leader had miseries of his own on Election Day. Silvio Berlusconi suffered the humiliation of finishing behind his coalition ally, the national populist Lega’s Matteo Salvini, who will be the center-right leader looking for partners to form a government. Italy may face a long period of turmoil before a government can be created. Either at the head of a government or in opposition, M5S will face the challenge of resolving internal radical and moderate contradictions that were papered over during the campaign. It remains to be seen if M5S can make the transition from its idiosyncratic protest movement heyday to the coherent political force of which crisis-ridden Italy stands in urgent need. [i] Dario Di Vico, Nel paese dei disuguali: Noi, i cinesi e la giustizia sociale (Milan: Egea, 2017), A major factor causing income inequality in Italy is “the change in the world distribution of work [occurring] with the advent of China’s industrial power,” 141. [ii] For a statistical analysis of the 2013 election data, see Andrea Pedrazzani and Luca Pinto, “The Electoral Base. The ‘Political Revolution’ in Evolution,” in Filippo Tronconi (ed. ), Beppe Grillo’s Five-Star Movement: Organization, Communication and Ideology (Surrey, England and Burlington, Vermont: Ashgate Publishing Company, 2015). The authors conclude, “In summary, the distribution of the M5S electoral base seems quite balanced over the Italian territory, with particularly high support in the South and in Liguria: this makes the M5S probably the only truly ‘national party’ in Italy,” 87. [iii] Sergio Rizzo and Gian Antonio Stella, La Casta: Così i politici italiani sono diventati intoccabili (Milan: Rizzoli, 2007), 15. [iv] Piergiorgio Corbetta (ed. ), M5S: Come cambia il partito di Grillo (Bologna: Il Mulino, 2017). See his “Conclusioni. Paradossi, speranze e disillusioni della democrazia digitale in Italia: la lezione del Movimento 5 Stelle” on the long-range significance of “the implosion of Christian Democracy and the conversion of the Communist Party,” 268. [v] Viviane Forrester, The Economic Horror (Cambridge, UK: Polity Press, 1999), 13; first published as L’horreur économique in 1996. [vi] “Politica estera, ecco il voto di M5S, ma non viene sciolto il nodo euro,” Corriere della Sera, 6 April 2017. [vii] Archon Fung to the author by e-mail, 24 November 2017. For Di Maio’s Harvard address, see https://m.facebook.com/story.php?story_fbid=1525506567490504&id=119853948055780. [viii] Domenico De Masi, Lavoro 2025: Il futuro dell’occupazione (e della disoccupazione), (Venice: Marsilio, 2017), 169. [ix] In a family and political memoir, Meglio liberi: Lettera a mio figlio sul coraggio di cambiare (Milano: Rizzoli, 2017), Di Battista condemns finance capitalism (“il fascismo attuale,” 37) and American imperialism in Italy (“un Paese dalla sovranità limitata,” 118). Such views have a large M5S following, but they conflict with Di Maio’s campaign theme of studied understatement regarding capitalism and American influence over Italy. [x] Ernesto Galli Della Loggia, Il tramonto di una nazione: Retroscena della fine (Venice: Marsilio, 2017), xvii.